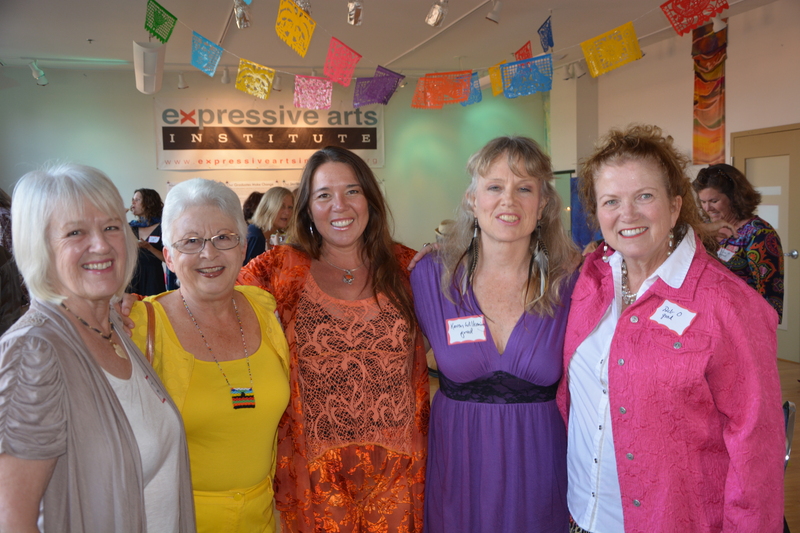 The Expressive Arts Alumni Association supports the Expressive Arts Institute, San Diego, and the Expressive Arts Foundation in promoting education about the central role the arts play in a healthy person, school, community and world. The association is dedicated to providing experiences of “poiesis” to naïve artists. Poiesis is best understood as a meaningful experience in the arts. We believe such public events promote an understanding of the importance of aesthetic experience. 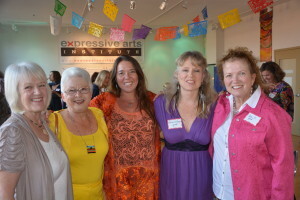 Graduates from the first class (l-r), Taru Rivera, Niyazi Sue McDevitt, Celestine de la Victoria, Karen Wilkening and Deb Ogburn return home to celebrate the Institute’s 15th year.